Since the phorid fly frequents unsanitary areas, they are a hazard as they can spread diseases and bacteria through food contamination. 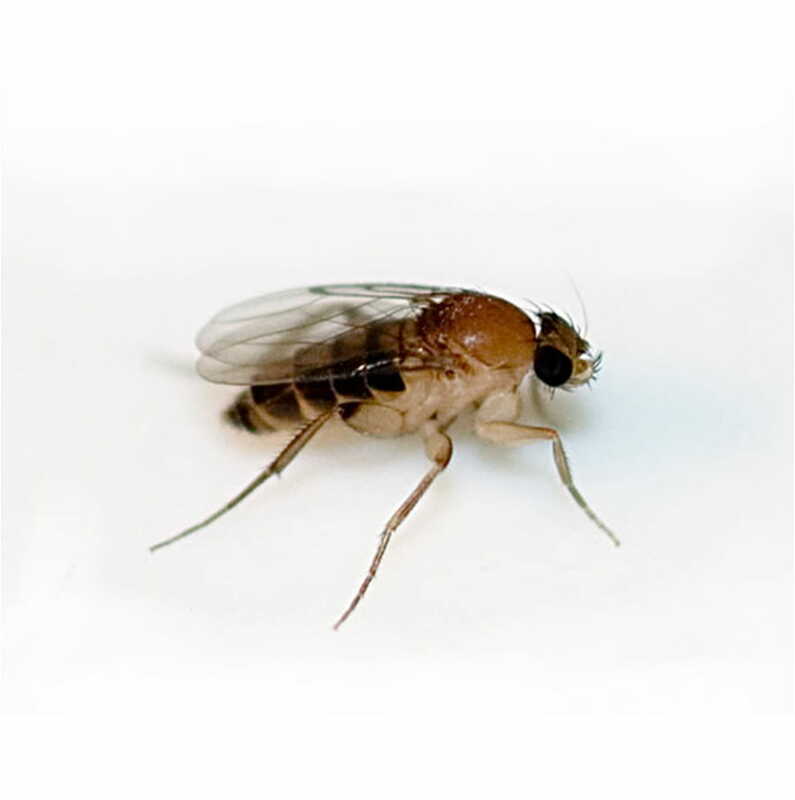 Phorid flies are particularly a concern to hospitals, healthcare facilities and restaurants. Phorid flies are small, hump-backed flies resembling fruit flies. Phorid flies can often be identified by their escape habit of running rapidly across a surface rather than taking to the air. 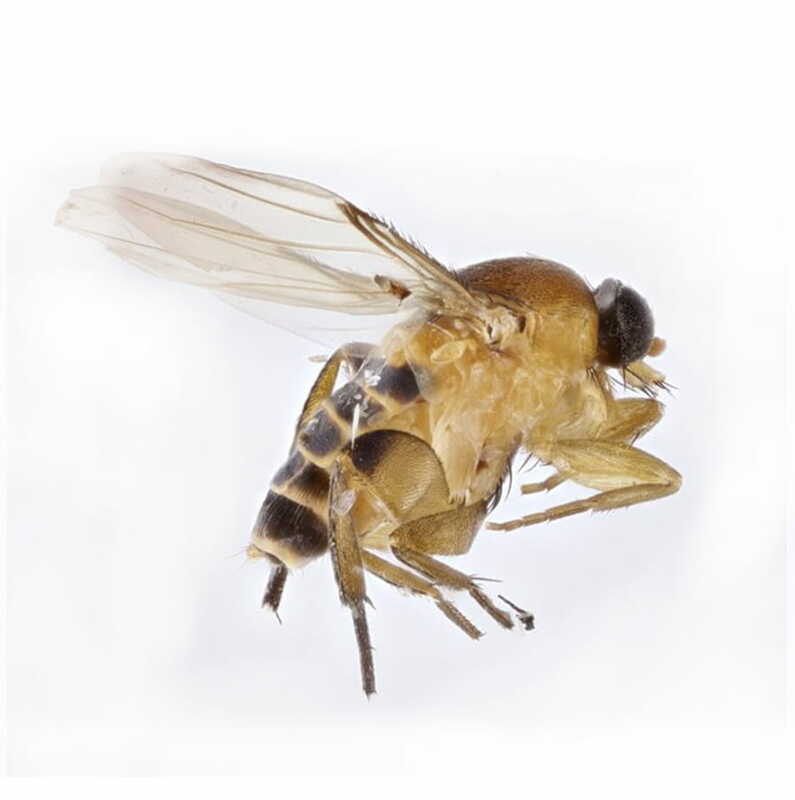 Phorid flies measure 0.5 to 5.5 mm in length with arched thoraxes that give the appearance of a humped back. Phorid flies are common in many habitats but are more abundant in decaying plant and animal matter. 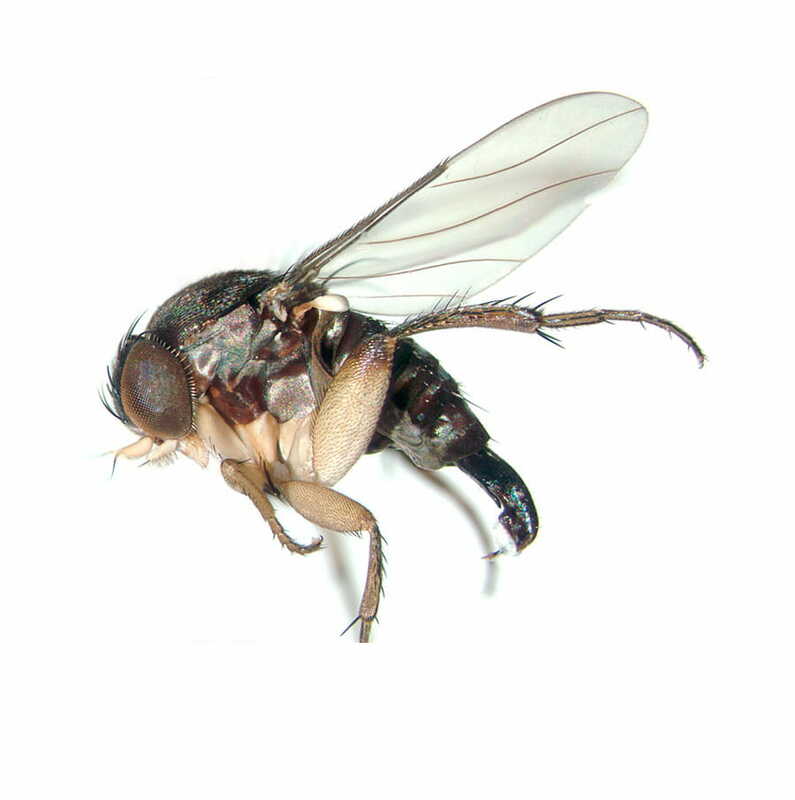 The phorid fly breeds primarily in and feeds on moist decaying organic matter. They are most active during the warmer months of the year but can also be active during the winter months. A female phorid fly lay about 20 eggs at a time—approximately 500 eggs in her lifetime. They lay their eggs on or near the surface of decaying organic matter. In 24 hours, larvae will emerge and feed for eight to 16 days. The larvae will then crawl to a drier spot to pupate. The life cycle from egg to adult can be completed in as little as 14 days under ideal conditions but can take as long as 37 days. Depending on the conditions, phorid flies can live up to two months. Are phorid flies hazardous to humans? What causes a phorid fly infestation? Phorid flies love moist areas and decaying matter. They are often spotted when there is a dead, decaying animal in or beneath the home. A hygiene problem with pets can also attract a phorid fly infestation. These small flies can also thrive where decaying matter can be found in sink drains and sewers. How can I prevent a phorid fly infestation? In order to prevent an infestation and allow the phorid fly to breed inside your property, regularly clean out your trash and recycling bins, fix leaky pipes and seal all cracks, holes and crevices. If the breeding areas are not removed, the flies will return. How do I remove a phorid fly infestation? To remove a phorid fly infestation, eliminate breeding sources. Fix leaky pipes and seal all cracks. An infestation of phorid flies often catches homeowners by surprise as they multiply very quickly. If things become worse, contact Abell Pest Control. We're experts at the removal of phorid fly infestations.